John Kensinger was Professor of Finance at the University of North Texas and Director of its Doctoral Program in Finance. Previously he taught at Southern Methodist University and the University of Texas at Austin. He received an MBA from the University of Utah and earned his PhD in Finance from Ohio State University. He was research fellow of the Center for Institutional Investor Management and editor-in-chief for the Research in Finance series. His research interests include financial engineering, real options, corporate governance, innovative organizational forms, employee ownership and business history. 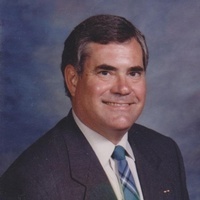 Professor Kensinger made early contributions to real options in the area of abandonment options, R&D, and flexible fabrication facilities, and published one of the earliest articles on managerial flexibility in 1987. He continued to pursue the broad goal of enhancing the role of real options in financial decision-making. He has worked toward extending the real options approach further along the global value chain, and has made early probes into the realm of options that have information items or intellectual property as underlying assets. He has also explored application of the real options approach by not-for-profit organizations. He aspired to help identify appropriate ways for management to make voluntary disclosure of real options in financial statements. Dr. Kensinger has been involved with the annual real options conference since its beginning in 1997 and served on its program review committee for many years. He was selected to give the Keynote address in the 2010 Annual conference in Rome and has been a passionate and articulate proponent of real options. As an illustration of his passionate and articulate promotion of real options and his last contribution to the conference in June 2017 on the Beech Aircraft Starship as a real option can be seen in accompanying video. The real options community pays its final respect to this visionary and loyal supporter.